After my last color-related thoughts, here’s another great tip that I wanted to share. You see, I am a developer, not a designer. Although I can recognize and appreciate good designs, I am not that great at creating them, and I am very open to my clients about that. I tell them that I can easily do the programming stuff, but it is best to let someone else take care of the visual appeal. But sometimes web development includes some minor design-related aspects (such as choosing the color of a button, or adding margin space to some text) that do not justify bothering anyone else on the team. So I often do these minor tasks myself to save the client’s time and money. And when I have to do that, I find Color Scheme Designer very useful. 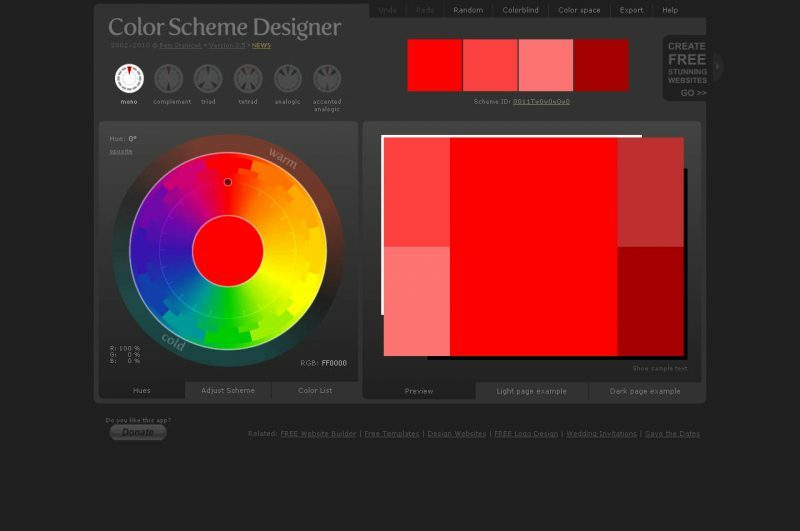 It is a great web-based tool that lets me quickly and easily choose a color and find the ones that complement it best. If you need a harmonious color scheme and do not want to spend too much time on hand-picking the colors for your design, this just might be the application you are looking for.